By Shaunna Evans 6 Comments · This content may contain affiliate links. Can you tell we really enjoyed our M is for Marshmallow Theme? 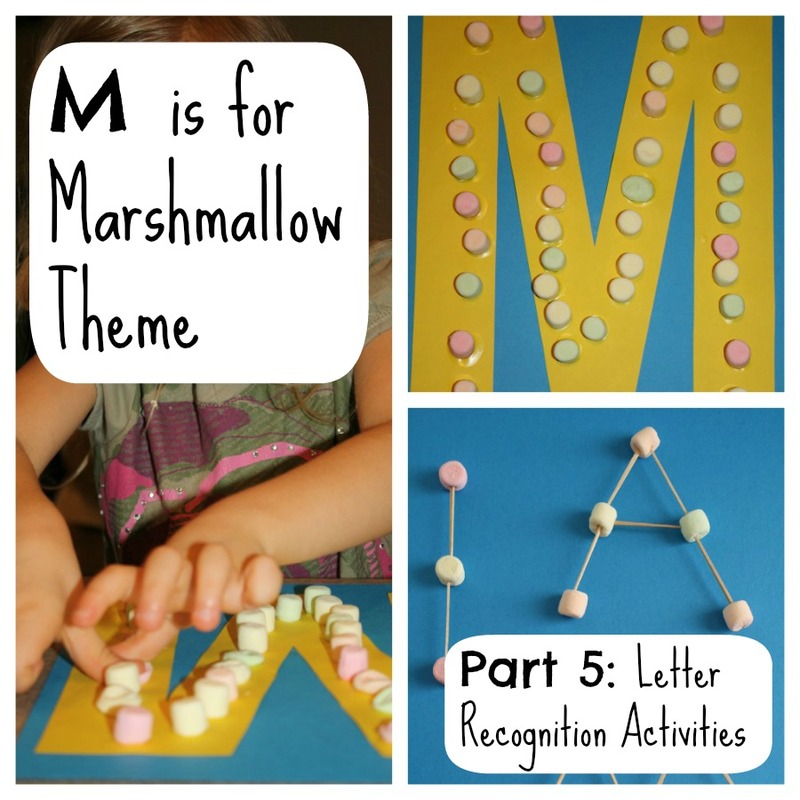 We also did a few letter recognition activities to go along with our science experiments and sensory play. I used to have a lot of fun making marshmallow sculptures with my students when I was a classroom teacher. 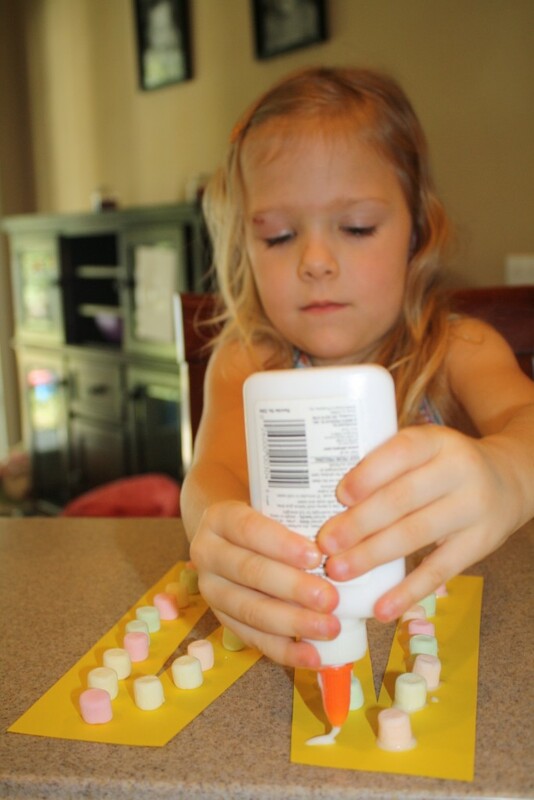 During our marshmallow activities Lovey spent some time making her own marshmallow sculptures. 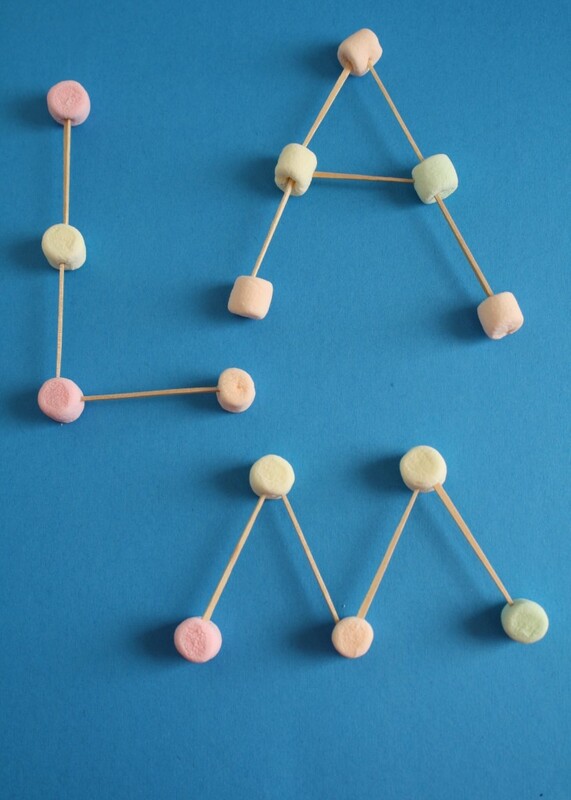 Then we tried to make some letters with marshmallows and toothpicks. She experimented with a few letters on her own. She also asked me to make some letters for her. Then she would try to copy them on her own. 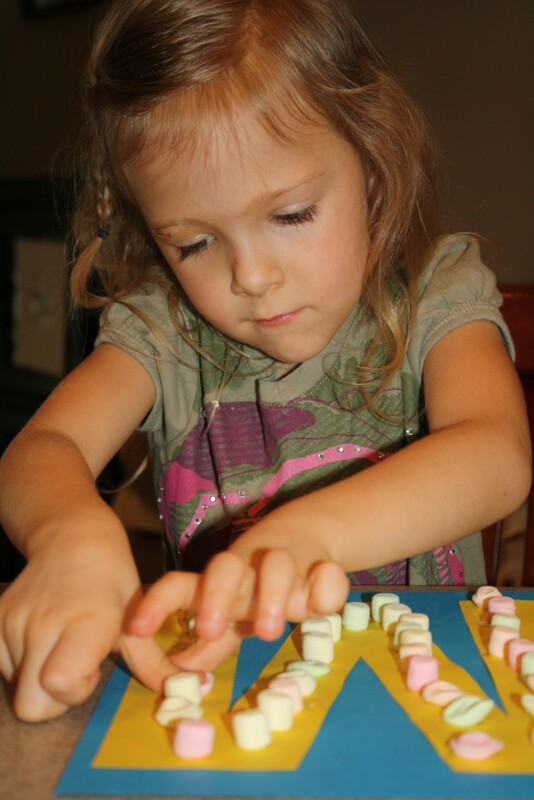 To exercise our fine motor muscles, we practiced mashing the marshmallows after the glue was dry. The kids really liked saying “mmmmm” each time they mashed a marshmallow, and it was a fun way for them to practice the letter sound. 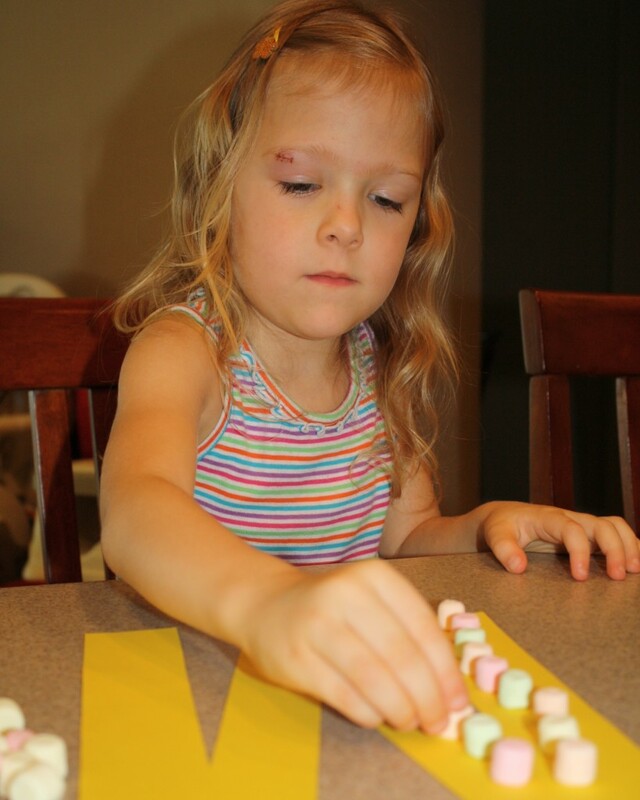 This will be my last post about our marshmallow activities, but we did quite a few other things. 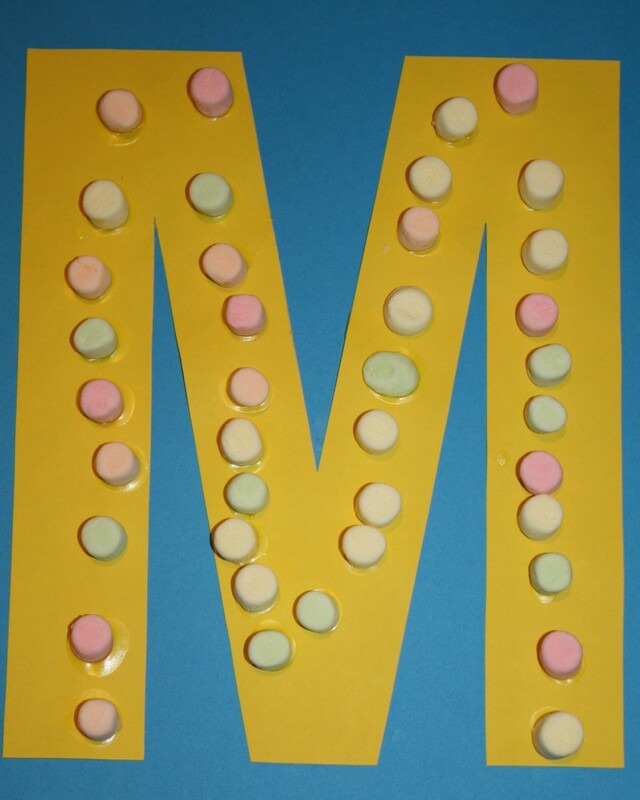 You can see some of the other activities we tried on my Letter M Pinterest Board. Thanks for reading along this week! Next week we will be taking a look at our N is for Night activities. Thank you so much for featuring this post! We did enjoy it, and I hope others do, too. I am also a new follower of yours on Facebook now! More marshmallow fun! I love the letter making. Thanks for sharing at the Sunday Showcase. This is excellent! I also love the Marshmallow sensory bin! Thanks for linking up at Share It Saturday! Thanks for co-hosting! I am glad you like the activities.